The Barter Theatre, Abingdon,Virginia. 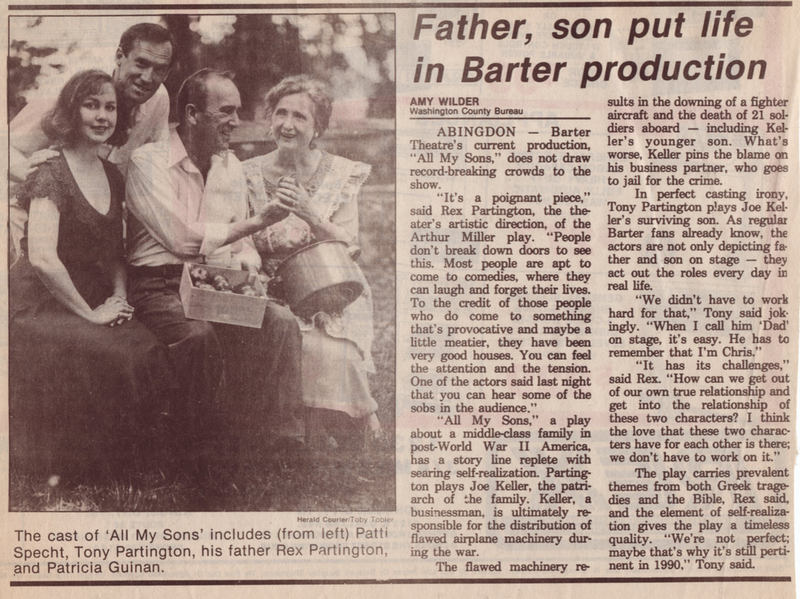 Following founder Robert Porterfield's death in 1972, Rex Partington became the first successor to Porterfield and thus Barter's Producing Artistic Director in 1972. He served in that capacity for twenty years. 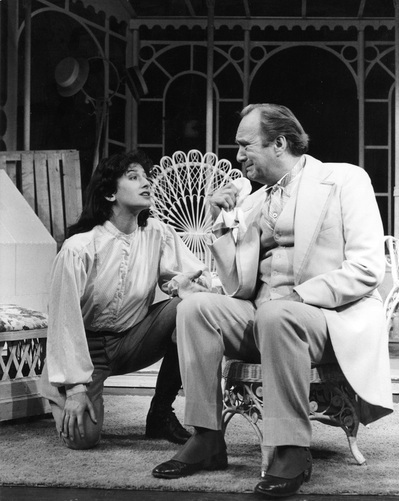 Rex Partington's tenure during those years is known, among the theatre world as "Barter's Golden Age." 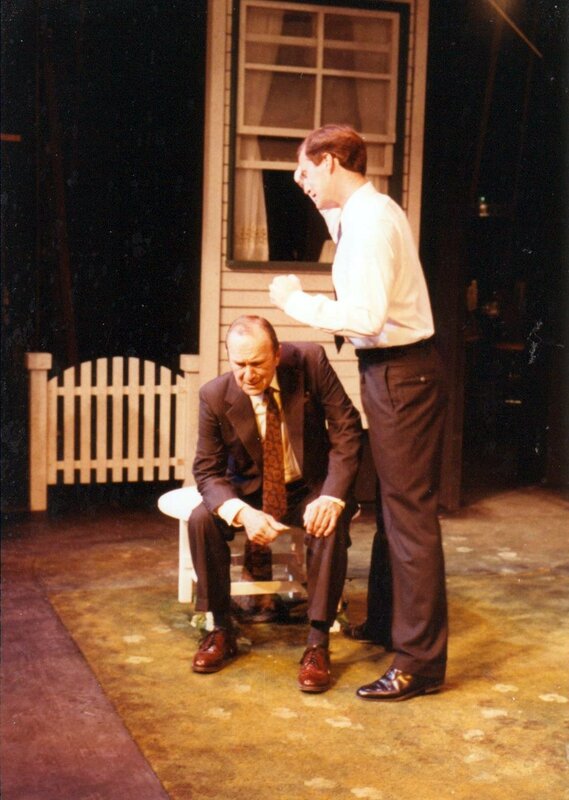 Without question, the greatest, most fulfilling performance experience of my life; playing the role of the son, Chris, to my father's stellar and heartbreaking performance of Joe Keller in Arthur Miller's classic ALL MY SONS. 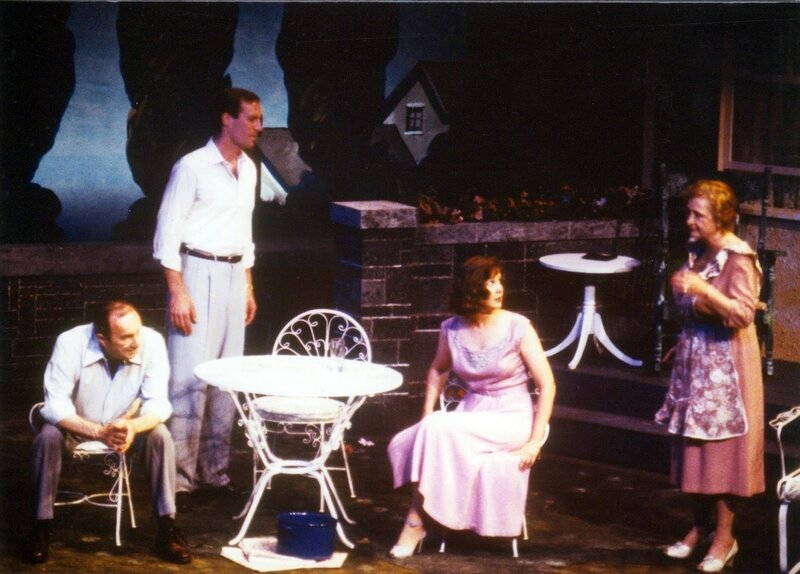 Rex Partington and Frederica Meister in the Barter Theatre production of George Bernard Shaw's MISALLIANCE. Rex Partington in the Barter Theatre production of George Bernard Shaw's MISALLIANCE.